Anyone who considers growing a beard weighs the same set of pros and cons. Assuming you’re already confident in your ability to muster respectable whiskers — and you may not be, as one sad sack relates — your immediate concern is probably skin irritation. Beards itch. They itch you, and they’ll itch anyone you’re close to. They can even irk casual observers. 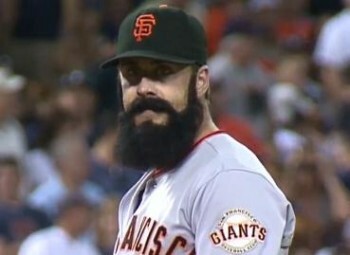 Try watching Giant’s relief pitcher Brian Wilson midgame. The fake beards donned by fans meant to display support for Wilson’s Black Beard Revival are an affront to his dedication. In the midst of summer, hurling 100 mph fastballs, that thing probably feels like a bird’s nest made of fiber insulation. But it doesn’t matter whether you’re a Major League baseball star or just a major fan of Sean Connery’s chin frost in League of Extraordinary Gentlemen: facial hair prickles, and it ought to. Trying to minimize irritation by refusing to grow out your peach fuzz is a bit like doing a polar bear plunge in a wetsuit. It misses the point. A full beard can be a sign of commitment. Indeed, many of history’s most memorable beards were rough, hot, and all-around inconvenient. Take Hemingway. Every July, heavyset men with salty beards descend upon Key West to participate in the annual Hemingway Day Festival’s lookalike contest. Yet Hemingway never rocked the full beard during his stay in Florida: the whitewashed mane for which he is now famous was a fixture of his time in Cuba. As if Key West weren’t muggy enough, Hemingway waited to grow the thing out until he was ninety miles closer to the equator. You better believe that thing chafed. And it was worth it, too. Why else would otherwise sane middle aged men throw on turtlenecks in July, abstain from shaving, and pack themselves into a place called Sloppy Joe’s Bar to be judged based on their resemblance to Papa? Let us take a look at some of history’s most irritating and famously full beards. He may not have left us any instructions in writing, but there are lessons to be learned from the way he groomed his face. At least his pupils, and their subsequent pupils, seemed to think so. 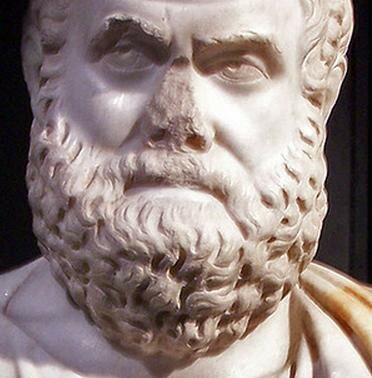 Both Plato and Aristotle followed Socrates’s lead and grew billowing beards of their own. Socrates introduced the beard as an indispensible part of Western society’s conceptualization of the sagacious philosopher. Even though his successors claimed he refused to flee Athens before his execution for ethical reasons, we prefer to believe that Socrates knew a life on the lam would require shaving his most distinguishing feature, and chose death instead. Those wild eyes were God-given, but pairing them with an equally untamable beard was pure genius. 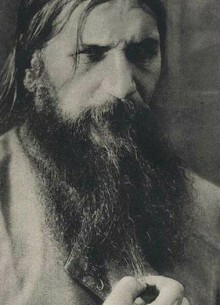 In doing so, Rasputin set the style for generations of heartthrob zealots to come (see Guevara, Che). And, while a thick beard is far from uncommon in frigid Russia, Rasputin still manages to make it look risky. It’s been said a million times, but these guys deserve another round of applause for all they’ve done on behalf of overkeen beards in pop culture. 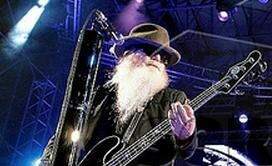 That is, except for drummer Frank Beard, who, despite his name and occupation, inexplicably chooses to go mustache-only. 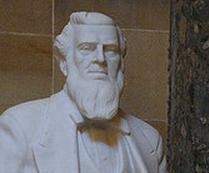 Whereas some beard wearers seek new converts, Brigham Young’s mutton-chop and goatee column combo is not to be repeated. Literally. Scruff is strictly forbidden at the university that bears his name (unless you get a special “Beard Card”) and, in modern times, it’s been something of an unspoken rule that Mormon prophets must be clean-shaven. Ensuring he would never be bested, Young birthed a religion with mixed feelings about facial hair. 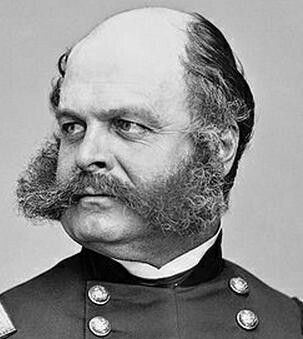 This guy was responsible for not one, but two, of the North’s worst defeats during the Civil War, yet he’s remembered for inventing sideburns. Now there’s a beard. In our shared, cultural consciousness, there exists a stocky guy with a bushy, strawberry-colored beard. How’d he get there? 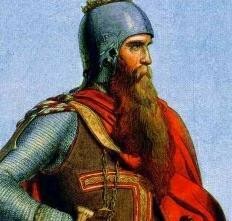 Frederick Barbarossa, the man whose last name actually means “red beard,” was the original. Indeed, from Yukon Kornelius and Action Bronson to the less portly Conan O’Brien, beards look good on redheads. Improbably, Emperor Barbarossa’s lasting crusade may not have been his invasion of the Germanic states in the late 1100s but in the world of men’s fashion. 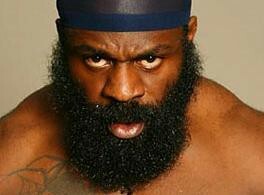 Most modern militaries agree that facial hair interferes with soldiers’ duties, but street fighter turned professional boxer Kimbo Slice feels differently. Almost entirely bald, Slice lets his beard speak for itself, wearing it like war paint to intimidate his enemies in the ring. Unkempt and tangled, it recalls a primordial age in which warriors were encouraged to look as fearsome as they behaved.